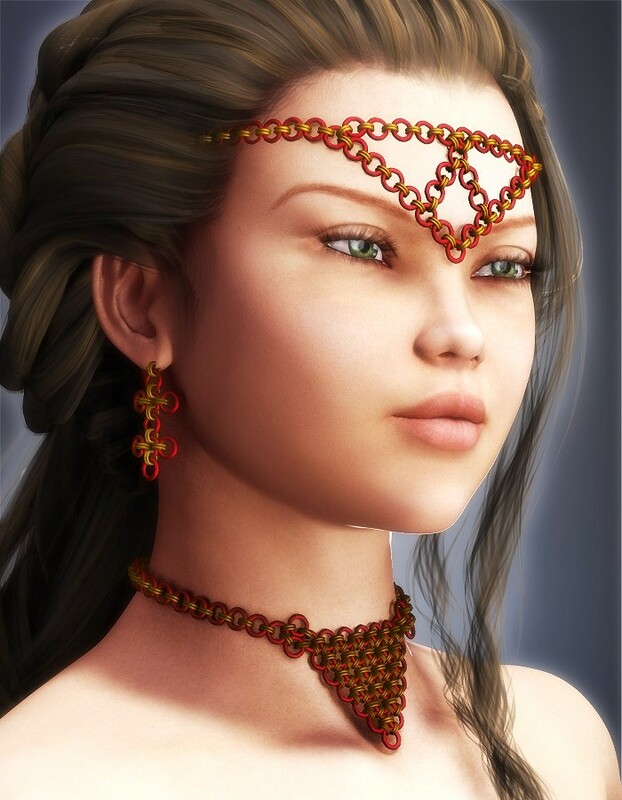 Be the best-dressed at the Renaissance Fair with this Chainmail Jewelry for Vicky 4. This package comes with a chainmail headpiece, earrings, and a necklace. All pieces are fully modeled for an authentic look.